You are here: Home / Buying Record Players / What’s the Best Vintage Turntable Under $200? When it comes to turntables, like most things, they just don’t make them like they used to. But what is it exactly that separates a vintage record player from a new or modern day record player? 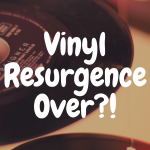 Through the course of this article, we’ll be delving into the distinctions that lead some people toward vintage turntables, what makes owners cling to them so dearly, what you should consider when shopping for one, where to look online to get one, and finally which budget-friendly, vintage machines you should ultimately buy. Before we get started, please take a moment to view our interactive table below that will allow you to view some of the popular modern day record players available on the market, and see how they compare to the many vintage turntables we discuss in today’s article. With the recent resurgence of vinyl, there has been no shortage of new manufacturers popping up left and right all over the audio equipment industry, providing a number of options for turntables varying in quality and price, all readily available. So, what is it that draws people to a machine that may be 20, 30, 40 or even older? To break this question down, we’re going to examine 5 different qualities of turntables that are typically most important to the average shopper. When shopping for a vintage turntable, costs will vary depending on a number of factors, especially when purchasing from an individual rather than a retailer. The condition of the turntable, the model and the owner’s general knowledge of the record player. 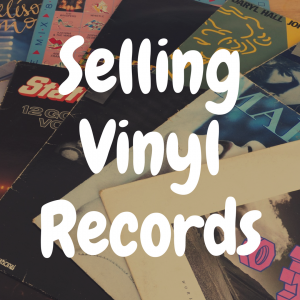 There is always a chance of coming across an incredible find digging around at a yard sale, but generally speaking, you are more likely to find better value for your money when shopping for a vintage turntable than a new one. Though a really high-quality vintage turntable can run you upwards of $500, there are some real gems to be found for under $200 that, if working properly, can outshine new turntables within the same price range. In mint condition, or as close as you can find, a vintage turntable is generally constructed with solid components of a quality that is not matched by the majority of modern turntables, which is why they’re still around decades later. Often times, this quality construction translates to a superior, distinct sound. That being said, it’s important to shop for quality, not nostalgia. Just because a turntable looks like the one you had sitting on your shelf (or your parents’ shelf) in the 80’s, doesn’t mean that it will sound that way. However, technology has come a long way since the 80’s and newer turntables will reflect this in ways that a vintage turntable obviously won’t. The most notable difference is that most vintage turntables come with some extra noise, usually coming from the motor, whereas with most newer turntables, this is minimized, leaving you only with the crisp sounds of your record. One added bonus of vintage turntables is their ease of use. Many older models are fully automatic, meaning you can push a button and the tone arm will move to the proper position and gently drop the needle or change speeds. 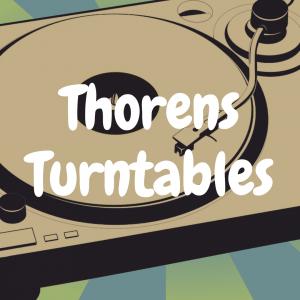 Comparatively, many budget-friendly modern turntables operate manually, making it easier to damage your record or stylus when dropping the needle and can be difficult to adjust speed. By far, the biggest drawback to buying vintage is that if you do encounter a problem, it can be difficult, or near impossible depending on the model, to find a place to have it serviced for a reasonable piece or to find replacement parts that won’t break the bank. However, the internet is a great resource that wasn’t available when many vintage turntables were made. 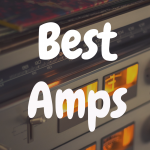 There is a plethora of forums, YouTube channels or other outlets to turn to where you can receive advice and guidance from experienced audiophiles that can be of great help. When looking at modern turntables, many come with warrantees and it is generally much easier to find a replacement part readily available. Your turntable is the centerpiece of your set up, something that you’ll want to show off to your guests and take pride in. Vintage turntables offer a unique look, but can be larger, boxier and clunky. Newer turntables are often sleeker, more compact and generally more modern looking. Obviously, which style is preferred is subjective, but this is a factor to consider when choosing between a modern and a vintage turntable. Though the most common places to find vintage turntables are in stereo repair shops, select record stores and flea markets/estate sales, they can also be found online if you don’t have any luck with local retailers. Craigslist is a good place to start, as this might turn up some local results that you wouldn’t have found otherwise. This would allow you to go and check out the equipment in person and ask any questions you have before purchasing, in addition to eliminating shipping costs. 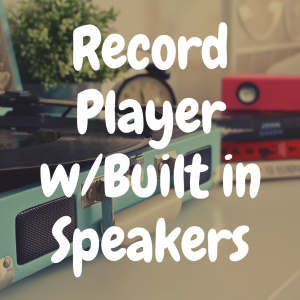 eBay is perhaps where you’ll find the widest selection of old school record players, compare prices and depending on how the product is listed, you may be able to score a sweet deal bidding in an auction. Now, if you’re thinking to yourself, “but there’s got to be a better way!”, well, you’re in luck—because there is. Audiogon.com is a site made by audiophiles, for audiophiles. This is a place for people to list their used equipment, they provide blue book prices for you to compare, a forum to discuss wants, needs and questions with other sound enthusiasts and Audiogon even allows you to create a “virtual system” to show off your set up and discuss it with others. Their selection obviously varies, but they do have a wanted section, where you can list any specific items that you’re looking for. Overall, it is best to view a piece of audio equipment in person before purchasing if at all possible, in order to view its condition, test it out and ask questions on the spot, but if this isn’t an option for you, Audiogon is a great place to turn. Another option, of course, is eBay. You can find almost anything on eBay, and that goes double for vintage turntables. No matter the vintage turntable brand or model, you’ll likely be able to find what you’re looking for if you’re determined enough to find it. And lastly, another option is Craigslist. Although this option will ultimately require you to get up and go to someone’s house or mutual public meeting place, if everything works out, you can potentially walk away with a great vintage table at a bargain price. 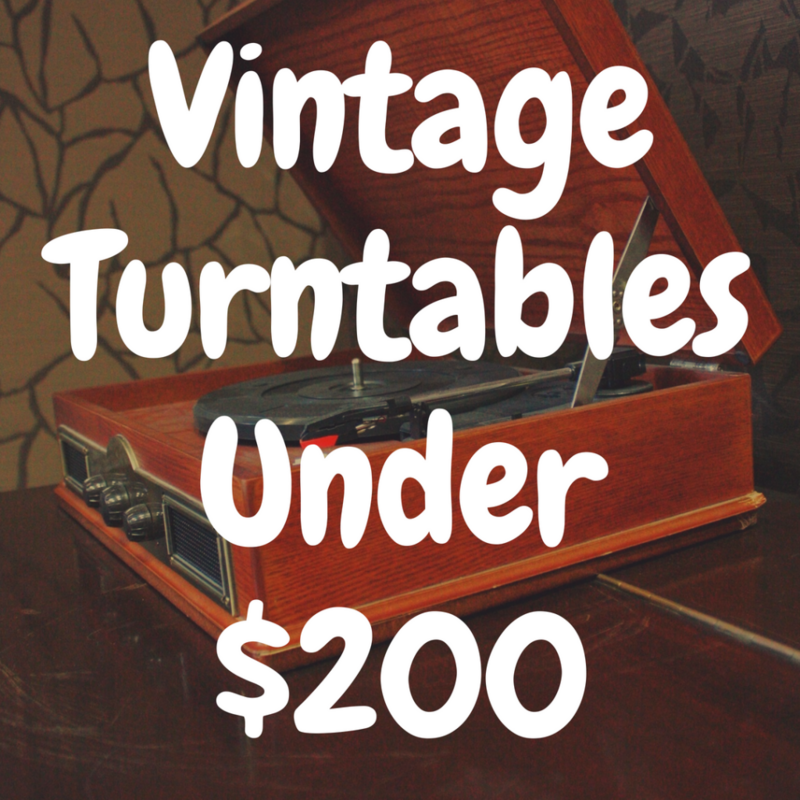 Obviously, prices for used equipment are not set and will vary depending on condition and the seller, but these vintage turntables for sale can generally be found for $200 or less. The KD 2070 is a budget-friendly, vintage record player that was mass produced and relatively easy to find. Its sturdy construction generally holds up well and many remain in good condition for years, making it a viable candidate for your consideration. It offers a direct drive, meaning no belts or wheels, just a motor rotating at the exact speed of your records, 33 or 45 rotations per minute. This makes for quiet operation, minimizing any added noises from extra moving parts and leaving you with the sound of your records. It features a 20-pole brushless DC motor and heavy platter providing higher inertia and smoother rotational speed, also contributing to minimal noise. However, it is manual, meaning the arm will not automatically return to the side once a record has ended. The other feature that stands out is the KD 2070’s statically balanced, S-shaped tone arm that offers great performance, especially at this price point. The precision with which this tonearm is balanced helps to reduce resonance received from your records and cross-talk between stereo channels, again contributing to a crisp sound. The SL BD20D is an easy to use, inexpensive, durable product that has some features you would expect to find in much higher priced turntables. It is only semi-automatic and belt driven but features an FG Servo motor that provides accurate rotations of the platter. The lightweight double gimbal pivot straight line tone arm is a high point, allowing the needle to glide along the grooves of a record with ease. The tonearm will automatically return to the side once it reaches the end of a side of a record and the record player will shut off, it also provides cueing, which is a nice feature for this price point. It is recommended to replace the stock cartridge, as it is of lower quality, but this can be done easily and will make a big difference in sound quality. Additionally, the rubber feet are not adjustable, and the turntable is prone to some vibrations, so it is a good idea not to place it directly next to or on top of your speakers for optimal performance. This is a semi-automatic, Japanese made turntable thats ease of use and high sound quality made it a very popular model in the 70’s. Pioneer is typically known for their speakers, but this is a durable machine that can be found for very cheap. It is belt-driven with a 4-pole synchronous motor that will spin at two speeds, 33.33 and 45rpm and perform with a high level of speed accuracy. The PL-A45D offers handy one touch cut and repeat features that allow you to interrupt or repeat a record with ease. It has a sleek, sturdy design and with a few adjustments, primarily a new cartridge, it can be a great addition to your setup. The L-F41 is built to last, offering an impressive combination of JVC’s well-known FG direct drive, a well-shielded DC servo motor and plenty of convenient automatic features. Another Japanese built turntable, it operates on a direct drive and features a 295mm die-cast aluminum platter for steady play with minimal noise along with a statically balanced arm with good damping qualities on a reliable tracing hold system. This turntable is sleek, silver, sturdy weighing in at just over 12 pounds and is sure to shine on the shelf without breaking the bank. With some tender love and care, a new head shell, some added damping to the plinth and underside of the platter and perhaps some updated RCA output leads, this turntable can provide high quality sound for years without setting you back more than $200. This economic, vintage turntable provides an impressive bang for the buck with automatic return, providing a unique advantage at its price point without sacrificing its high sound quality. It is a 2-speed, belt-driven automatic turntable under Sansui’s trusted name that is simple to use and dependable. Its sensitive, statically balanced, s-shaped tubular tonearm provides reliable record tracking and the heavy 308mm aluminum alloy die-cast turn table and 4-pole synchronous motor keep it spinning at the desired speed with precision. 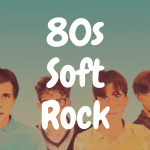 It also provides Sansui’s patented howl-suppressing suspension design that will help to reduce acoustic feedback and minimize noise, leaving you with the sweet sounds of your vinyl. Though the SR-232 is at the bottom of Sansui’s food chain, it provides a mellow sound that typically isn’t overly bright or harsh and can be upgraded easily with a new cartridge to improve sound quality on this sturdy turntable and accentuated with a quality preamp, which you can commit more of your budget to by saving money on an economic turntable like the SR-232.